Cards by Rita: colourQ meets Paper Players! 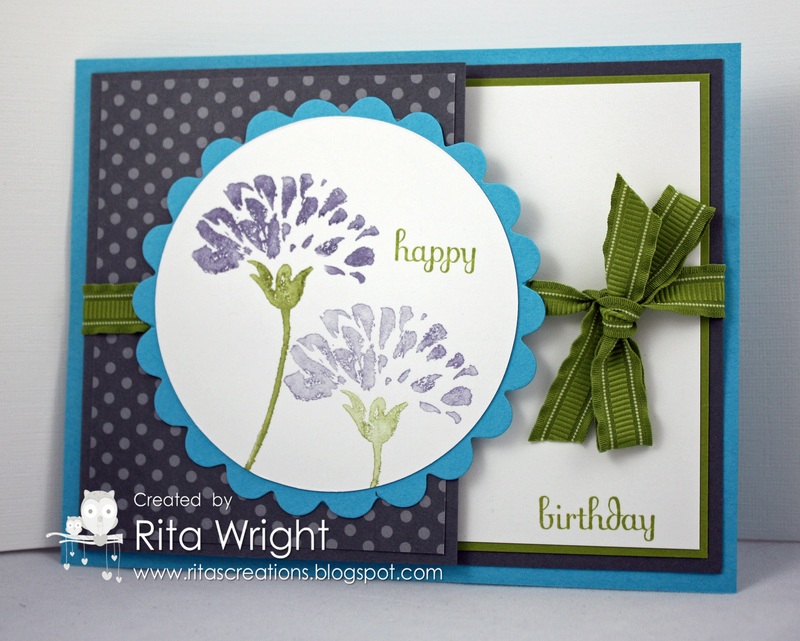 So pretty, Rita, this card is well designed and I love how you used the colors! 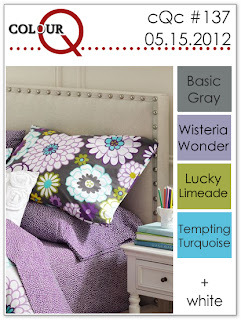 Thanks for sharing your card with us this week at the ColourQ! I think it's fabulous! It's certainly CAS enough! Glad you got to stamp for fun today---I know exactly what you mean, I was lamenting to myself the same thing this week! Three cards in one morning? I'm soooo jealous! But I'm glad you were able to do some stamping for fun because it means we all get to see this beauty! Beautiful work. I love it! Thanks for joining us at Colour Q this week. Very pretty. Love your colours and I'm always a fan of spots and dots. Rita I absolutely love this card and I agree with LeAnne - it most definitely qualifies as CAS. I really love this stamp set but never got it myself and everytime I see it - I regret missing out on it. Thanks for joining us this week at the Paper Players! Awesome comes to mind when I see this card! I love purple & green together, but the pop of turquoise just enhances it in such a great way! NJ! So glad you got some fun stamping time in Rita! You deserve it and we got to see this gorgeous creation. Way to combine the colors and the CAS dots...it's beautiful! Thank you for joining us at The Paper Players! What a fun card! I definitely wouldn't have tried those colors together without some inspiration, but they work! Love the different fold style...a nice change of pace from the typical card. Glad you joined in the fun at The Paper Players this week! Yay! You played!!! I love this and I'm totally jealous I don't have this set!